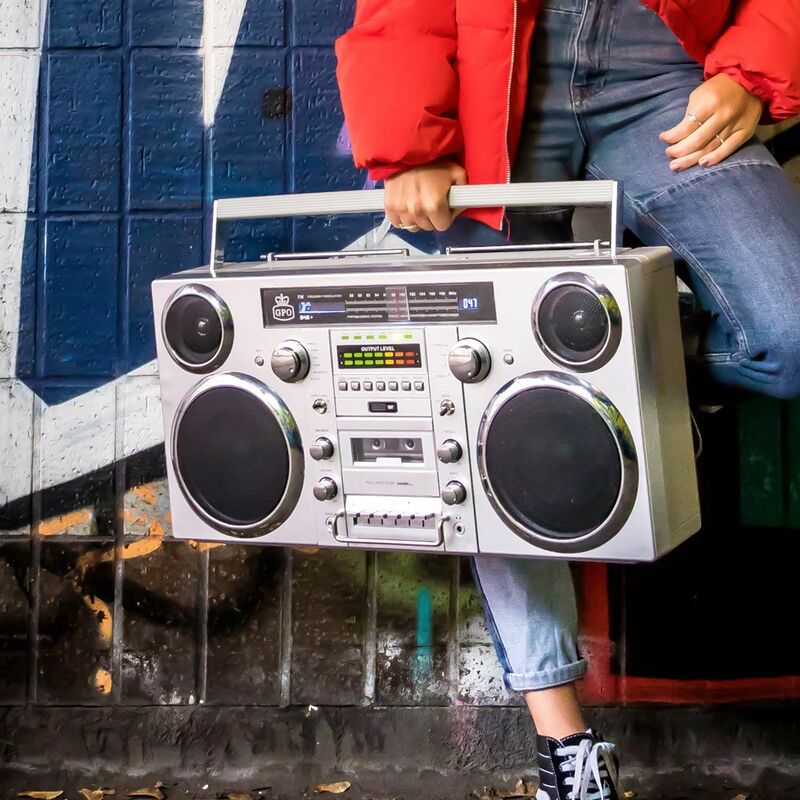 Hang onto your cassettes, because you’re about to get a literal blast from the past with this awesomely retro-styled Brooklyn portable boombox! 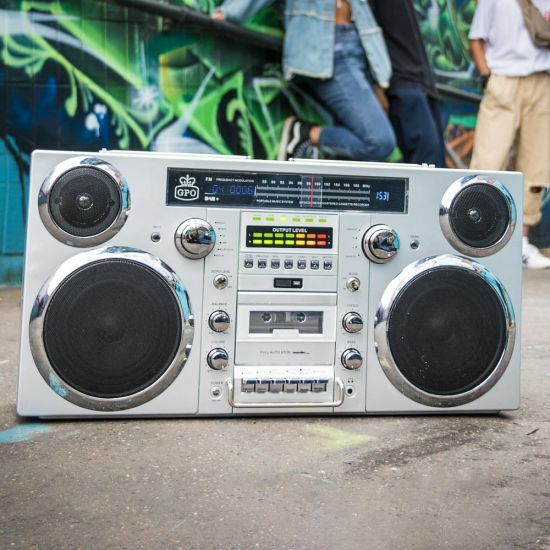 The Brooklyn boombox is designed to give you a good old taste of the ‘80s, but with some modern twists as well. Of course, no boombox could live with itself if it didn’t play cassettes or the radio, so this one does both with style. But, it also plays modern media like CDs, MP3s, and any music you want to stream via Bluetooth. It also has USB, RCA, and Aux inputs, letting you play music from all your different devices. Since a boombox belongs on your shoulder (or at least needs to go up there once, just for the experience), the Brooklyn Boombox is fully portable! It uses a built in rechargeable battery that will give you up to four hours of playback. And, to make sure that everyone around you can hear your sweet beats as you’re cruising the neighbourhood, this boombox gives you two 40-watt speakers! If you like to tweak your music, you’re in luck! The controls on the GPO Brooklyn include volume (of course) as well as treble, bass, and balance, letting you find the sweet-spot of your tunes. Grab your high tops and baggy clothes, pop this boombox on your shoulder, and walk past your nearest graffiti for a full-on ‘80s Brooklyn experience!